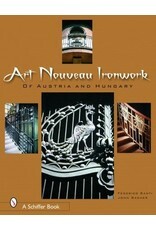 The streets of Budapest, Hungary, and Vienna, Austria, are rich in masterpieces of Art Nouveau ironwork. Around nearly every corner of the residential districts and business hubs of these great cities, architectural treasures wait to be appreciated by the discerning eye. 500 vivid photos show the many, varied interpretations of Art Nouveau forms used in balustrades and balconies, lanterns and gates, doorways, elevator door façades, and more. 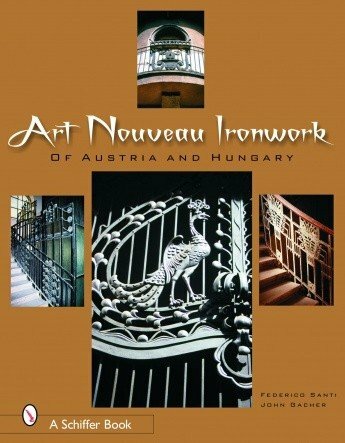 This book will inspire many to make new travel plans and will delight everyone with a passion for beautiful decorative ironwork.Explanations of the settings discuss the details and decorative motifs associated with the various ironwork objects illustrated, and detailed photographs enhance the reader’s understanding and appreciation. A bibliography is included.